I'm pretty unfamiliar with computer communications, so I was wondering if someone could help me chose what kind of radio (in terms of air data rates) is necessary for a Piksi Multi when injected into a Pixhawk? My main confusion is relating baud rate to airspeed. 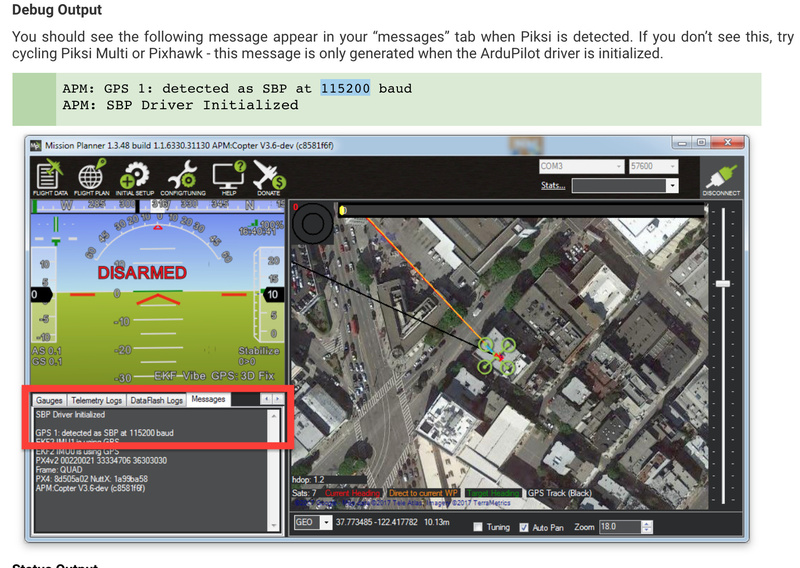 According to the Swift integration into Pixhawk (https://support.swiftnav.com/customer/en/portal/articles/2803651-piksi-multi-ardupilot-integration-guide) it appears that the baud rate into the Pixhawk is 115,200. However, the airspeed is only 64Kbits? Does this mean that all of the GPS data is not being sent through the radio? Does the baudrate of 57 to the radio telemetry mean that we aren't transferring all of the information? My questions stems from ignorance of understanding data transfer in computers. Would anyone be able to help? This isn’t the right place for ArduPilot support, but it’s a pretty general question so I hope others don’t mind. To quickly answer: the actual gps is connected to the Pixhawk at 115200 baud, usually on serial 3 (gps port). 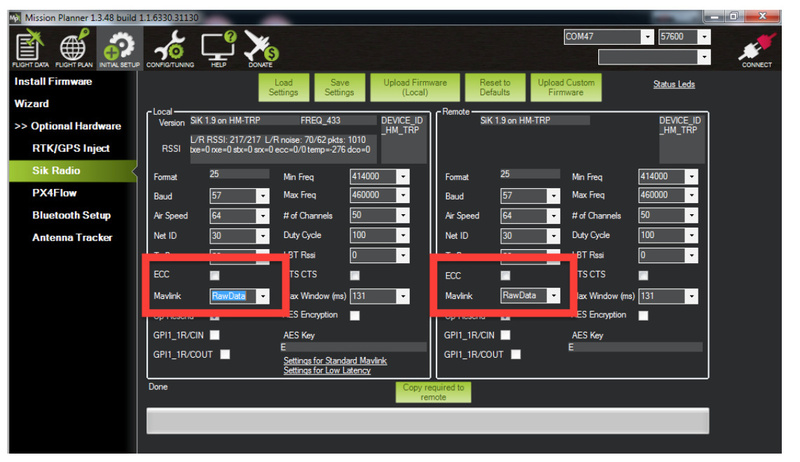 The RTK corrections involve less data and are transmitted less frequently (5Hz from memory), so are mixed in the telemetry stream (mavlink) and the datalink doesn’t need to be as fast (57600 is normal, on telem 1 port). Thanks for the response. And I apologize if this isn't the right forum, but I was hoping the question was general enough so that it can be applied for others. My main question is why the telemetry stream doesn't have to be as fast as the GPS to flight controller stream? Because then couldn't some of the data potentially be truncated? An additional confusion is there a way to figure out how much data is being sent by the GPS without experimental testing? Basically, no, not all the base gps data is transmitted. Just the data required for the rover gps to apply the rtk corrections. The autopilot uses a bunch of other data that the onboard gps provides (like velocity vectors). If you’re using ArduPilot, really best to move this to their forum.